BP continues to exercise appeals in the long running settlement case. The corporation appears to have settled its claims with the government and claims by citizens continue to languish. A few hours ago the United States Supreme Court refused to review the latest round of defenses asserted by BP. 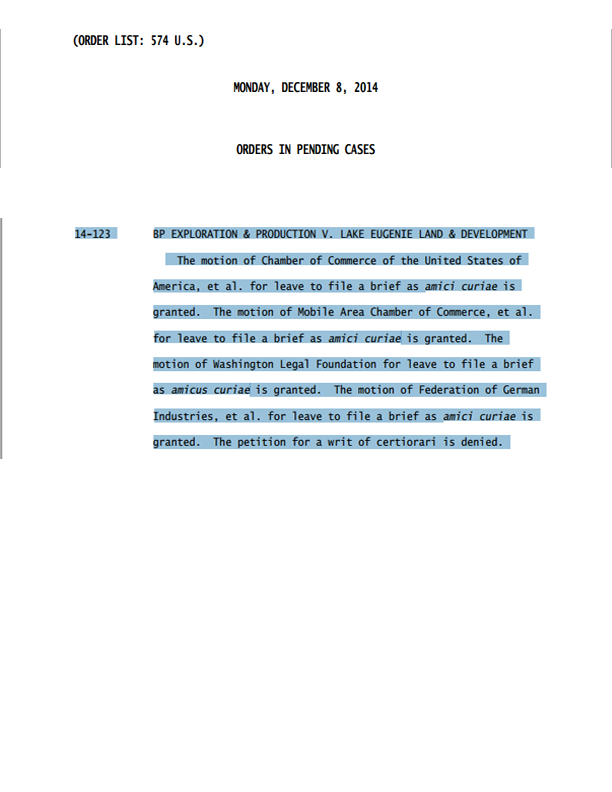 14-123 BP EXPLORATION & PRODUCTION V. LAKE EUGENIE LAND DEVELOPMENT The motion of Chamber of Commerce of the United States of America, et al. . . .
"The petition for a writ of certiorari is denied." BP could be looking at close to $18 billion in additional fines over the nation's worst offshore oil spill. Federal judge issues ruling and BP will again appeal. Attorney General Eric Holder said Judge Barbier's ruling "will ensure that the company is held fully accountable for its recklessness" and will "serve as a strong deterrent to anyone tempted to sacrifice safety and the environment in the pursuit of profit." We wanted to provide you with an update about BP claims. In 2014, the Fifth Circuit Court of Appeals rejected BP’s recent appeals and ordered the Claims Administrator to restart processing and paying claims. BP filed an emergency motion with the United States Supreme Court asking that claims processing and claims payment be stopped while BP prepares its appeal to the Supreme Court. On Monday, June 9, 2014. the Court rejected BP’s request. As of now, claims are being processed and paid. This is another huge development for our clients. We will advise you as soon as we hear anything new. BP Settlement Opinion - Injunction Lifted - Payments to Begin? We expect that payments may be restarted shortly, since the opinion essentially lifts the injunction that had frozen payments to Gulf Coast claimants. Here are the precise words from the Court today. Before DENNIS, CLEMENT, and SOUTHWICK, Circuit Judges. BP Exploration & Production, Inc. petitions for rehearing of our March 3, 2014 decision in In re Deepwater Horizon, 744 F.3d 370 (5th Cir. 2014). We upheld the district court’s opinion that because of the terms of the parties’ settlement, claimants need not present direct evidence of causation during the processing of claims. On rehearing, BP argues that if the settlement is interpreted as not requiring evidence of causation at the claims-processing stage, that effectively “permit[s] the expansion of class membership during the claims-processing stage, resulting in awards to claimants whose injuries lack any causal nexus to the defendant’s conduct.” We disagree. What follows is a response to the rehearing argument, and our prior opinion remains fully in effect. The petition for rehearing is DENIED. Judge CLEMENT dissents from this denial of panel rehearing for the reasons stated in her panel dissent of March 3, 2014, In re Deepwater Horizon, 744 F.3d 370, 380-84 (5th Cir. 2014) (Clement, J., dissenting), and in the dissent from rehearing en banc. A thorough discussion of the relevant background of this case may be found in this panel’s opinion of October 2013, In re Deepwater Horizon, 732 F.3d 326, 332-39 (5th Cir. 2013) (“Deepwater Horizon I”), and that of March 2014, 744 F.3d 370 (“Deepwater Horizon III”). A different panel’s opinion of January 2014, affirmed the district court’s approval of the Class Definition and the Class Settlement. See In re Deepwater Horizon, 739 F.3d 790, 795 (5th Cir. 2014) (“Deepwater Horizon II”). On rehearing in the current case, BP seeks reconsideration of whether the Claims Administrator’s interpretation of the Settlement Agreement expands the settlement class beyond its certified definition. We had based our conclusions in part on Deepwater Horizon II. We noted that the earlier decision had held that Article III, the Rules Enabling Act, and Rule 23 requirements were fully met at the class certification stage. See 744 F.3d at 374-75. We concluded that no new potential constitutional or other deficiencies existed in the procedures for resolving individual claims. 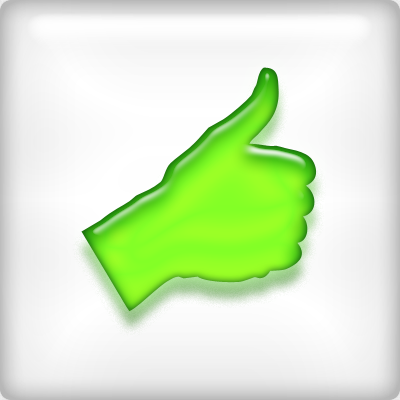 See 744 F.3d at 376 n.1. In light of the petition for rehearing, we will analyze why the manner in which claims are presented and resolved is not fundamentally flawed. The principal objection on rehearing focuses on the Claims Administrator’s interpretation of the Settlement Agreement, exemplified by a Policy Statement issued by the Claims Administrator on October 10, 2012, and approved by the district court on April 9, 2013. The Policy Statement was developed because of questions that arose after a proposed Settlement Agreement was agreed upon by the parties in April 2012. As discussed more thoroughly below, the Policy Statement was issued with input and assent from BP. The proposed settlement contained an Exhibit 4B (which was later approved by the district court), entitled “Causation Requirements for Businesses Economic Loss Claims.” Instead of direct evidence of a causal connection between the Deepwater Horizon disaster and the claimant’s business losses, the Exhibit described four geographic zones, several types of businesses, formulae for presenting economic losses, and various presumptions regarding causation that apply to specific combinations of those criteria. The parties agreed that a claimant’s satisfaction of those criteria would establish causation for the purposes of the Settlement Agreement. Agreement occurred after all parties had an opportunity to decide whether these indicia of causation were sufficient equivalents to direct evidence of causation to satisfy their respective evidentiary concerns. The factors set out in Exhibit 4B were acceptable to the parties at the time, and remained so through approval of the Settlement Agreement in December 2012. After the proposed settlement was filed in April 2012, the Claims Administrator asked the parties what should be done with claims in which payment under the terms of Exhibit 4B would be permissible, but a cause for the business losses other than or in addition to the Deepwater Horizon disaster seemed possible. The Policy Statement expressed the agreement by all participants, including BP, on the answer to the Claims Administrator’s question. We will discuss that answer in detail below. We say now, though, that BP argues it unconstitutionally allows the Claims Administrator to pay claims regardless of whether those losses were actually caused by BP’s conduct. We conclude that causation is never abandoned as a requirement. The elements of Article III standing “are not mere pleading requirements but rather an indispensable part of the plaintiff’s case [and] each element must be supported . . . with the manner and degree of evidence required at the successive stages of the litigation.” Lujan v. Defenders of Wildlife, 504 U.S. 555, 561 (1992). The element of standing being contested in this case is traceability, i.e., the causal connection between a plaintiff’s injury and a defendant’s conduct. Allegations of causation are sufficient to satisfy Article III in a class action complaint and in a class definition. 1 See Cole v. Gen. Motors Corp., 484 F.3d 717, 723 (5th Cir. 2007) (concluding that during Rule 23 proceedings it is “sufficient for standing purposes that the plaintiffs seek recovery for an economic harm that they allege they have suffered,” because ‘‘a federal court must assume arguendo the merits of [each claimant’s] legal claim’’ (citation and quotation marks omitted)); see also Kohen v. Pac. Inv. Mgmt. Co., 571 F.3d 672, 677 (7th Cir. 2009) (concluding that “one named plaintiff with standing . . . is all that is necessary” even where “[i]f the case goes to trial, this plaintiff may fail to prove injury . . . . [A]t the outset of the case many of the members of the class may be unknown, or if they are known still the facts bearing on their claims may be unknown. Such a possibility or indeed inevitability does not preclude class certification . . . .” (citation omitted)); Denney v. Deutsche Bank AG, 443 F.3d 253, 263-64 (2d Cir. 2006) (‘‘We do not require that each member of a class submit evidence of personal standing. At the same time, no class may be certified that contains members lacking Article III standing. The class must therefore be defined in such a way that anyone within it would have standing.’’ (citations omitted)). Exhibit 4B does not negate the claimants’ allegations of Article III causation. Indeed, BP has never challenged Exhibit 4B. It has not argued, for example, that the approach of the exhibit violates Article III, such as not being protective enough of causation or allowing too many questionable claims to receive damage awards. Exhibit 4B explicitly contains no requirement that the Claims Administrator perform an additional calculation or take an additional step to ensure that each paid claim has a direct causal nexus to BP’s conduct. In fact, it says the opposite: “If you are a business [meeting certain criteria], you are not required to provide any evidence of causation.” It continues: “If you are not entitled to a presumption as set forth . . . above [and you meet other criteria] you must satisfy the requirements of one of the following” formula. BP has not argued that Exhibit 4B itself is unconstitutional, but it maintains that the Constitution has been violated when the Claims Administrator applies it. The dissent in Deepwater Horizon II identified the Policy Statement as the source of the constitutional defect. See In re Deepwater Horizon, 739 F.3d at 823 (Garza, J., dissenting). The dissent stated that Exhibit 4B “seemingly preserves a threshold causation requirement while simply eliminating the need for specific evidence to prove it when making a settlement claim. In other words, causation ostensibly remains an element of a claim even though proof is not a central feature of the claims process.” Id. The Policy Statement, the dissent argued, then eliminated the requirement of causation. Id. We disagree. As we will explain, the Policy Statement was at most a clarification or an application of the terms of the exhibit to a specific factual situation. It did not amend the basic approach. BP has not even argued, much less shown, that Exhibit 4B is constitutionally infirm. We conclude that it is not. BP has urged in multiple filings in this case that the Claims Administrator’s interpretation of the Settlement Agreement has expanded the class beyond its certified definition. We read BP’s arguments to say that the Claims Administrator has interpreted the evidentiary framework in such a way as to expand the settlement class. In other words, BP argues that there are certain claimants who, while they meet every explicit evidentiary standard in Exhibit 4B, should be denied recovery by the Claims Administrator if their claim lacks an actual causal nexus to the Deepwater Horizon disaster. The October 10, 2012 Policy Statement was developed in order to address that scenario. We discuss it next. The Settlement Agreement represents the Parties’ negotiated agreement on the criteria that must be satisfied in order for a claimant to establish causation. Once causation is established, the Settlement Agreement further provides specific formulae by which compensation is to be measured. All such matters are negotiated terms that are an integral part of the Settlement Agreement. The Settlement Agreement does not contemplate that the Claims Administrator will undertake additional analysis of causation issues beyond those criteria that are specifically set out in the Settlement Agreement. Both Class Counsel and BP have in response to the Claims Administrator’s inquiry confirmed that this is in fact a correct statement of their intent and of the terms of the Settlement Agreement. The Claims Administrator will thus compensate eligible Business Economic Loss and Individual Economic Loss claimants for all losses payable under the terms of the Economic Loss frameworks in the Settlement Agreement, without regard to whether such losses resulted or may have resulted from a cause other than the Deepwater Horizon oil spill provided such claimants have satisfied the specific causation requirements set out in the Settlement Agreement. Further, the Claims Administrator will not evaluate potential alternative causes of the claimant’s economic injury, other than the analysis required by Exhibit 8A of whether an Individual Economic Loss claimant was terminated from a Claiming Job for cause. The above language does not abandon any claimant’s allegation of Article III causation. Left in place is that the Claims Administrator must establish causation for settlement purposes with respect to every claim under the specific criteria and formulae that BP and Class Counsel agreed would be utilized for that purpose. The Policy Statement makes clear that there is no “additional analysis of causation issues beyond those criteria” in Exhibit 4B. It is true that the phrase appears that claims will be paid “without regard to whether such losses resulted or may have resulted from a cause other than” the Deepwater Horizon disaster. This language, though, is not an assertion by the Claims Administrator that he will pay claimants regardless of whether their losses are alleged to be traceable to BP’s conduct. We cannot ignore the context for the language. The Policy Statement states this: “Once causation is established” under the approach of Exhibit 4B, the Claims Administrator will not be concerned with the possibility that a particular claimed injury might have been caused in whole or part by other events. To summarize, causation is established by certain factors set out in Exhibit 4B that the parties agreed were a sufficient indirect way to satisfy the goal of connecting a claim to BP’s conduct in the Gulf. The parties did not reject the need to establish a connection. Instead, they agreed to a means for doing so that sufficiently satisfied each party’s litigation interests. The Policy Statement itself explains that its treatment of possible alternative causes was “a correct statement of their intent and the terms of the Settlement Agreement.” Exhibit 4B can be analogized to a stipulation at trial. If parties stipulate to an element of a claim, no proof at trial will be needed. Here, they stipulated to the form of the proof that would demonstrate causation. We do not accept that the phrasing of the October 2012 Policy Statement, particularly the “without regard to whether such losses resulted” from other causes, either discards the carefully crafted approach of Exhibit 4B or creates an unconstitutional breach in the boundaries of the Class Definition. It also does not negate the claimants’ allegations of Article III causation. We reach these conclusions, first, because neither the Policy Statement nor Exhibit 4B has anything to do with allegations in the complaint or with the Class Definition. Deepwater Horizon II held that Article III standing in this case has been met at the pleading stage and in the Class Definition. 739 F.3d at 804-805. We accept that conclusion. The Policy Statement and Exhibit 4B apply later during settlement administration when the Claims Administrator examines the claimants’ documentation. Second, the parties agreed that the evidentiary criteria of Exhibit 4B were a sufficient substitute for a full trial of factual causation by a preponderance of the evidence. Finally, the Policy Statement does not alter Exhibit 4B. The “without regard” language is inartful but not invalidating. In fact, there was substantial regard given to causation in the creation of the elaborate criteria that substituted for proof of factual causation as a separate element of the claim. The Policy Statement did nothing more than state the most reasonable explanation of what Exhibit 4B meant if some other cause might appear during claims processing to have been a factor. The accepted conclusion follows readily from Exhibit 4B, which explicitly does not require direct evidence of causation but instead requires each claimant to present documentation that substituted for proof by a preponderance of the evidence at trial. The Claims Administrator did not thereby expand the class beyond its definition. Exhibit 4B was the compromise reached by the parties on how an extremely difficult part of the claims process was to be handled. The Policy Statement simply states that the compromise still controls even when its accuracy as a substitute for direct evidence of causation as to a particular claim is questionable. In settling this lawsuit, the parties agreed on a substitute for direct proof of causation by a preponderance of the evidence. By settling this lawsuit and agreeing to the evidentiary framework for submitting claims, the claimants did not abandon their allegations of Article III causation. We have continued to report the allegations of damage to the environment in Florida. While we are involved in the Florida Oil Spill litigation that is pending, there is more coming. A new lawsuit has been filed where BP, Anadarko and Transocean are named as as defendants. 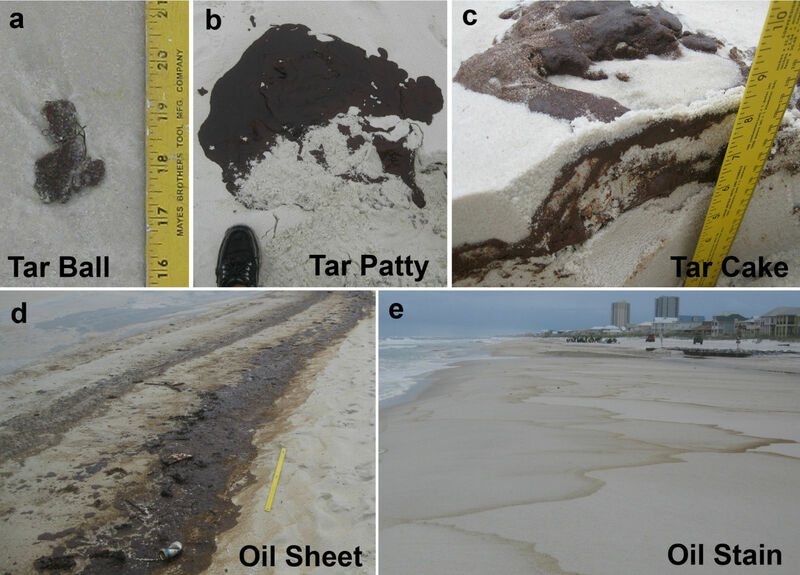 This lawsuit was filed by the State of Florida and attempts to hold the Defendants responsible for the environmental harm caused by the oil spill. According to the Times, "[t]he case Florida filed Wednesday is separate from the suit filed last year by the Attorney General's Office, which deals with economic losses Florida suffered as a result of the Deepwater Horizon oil spill. Wednesday's filing seeks to hold the named defendants accountable for injuries to the environment the state suffered as a result of the oil spill."